Nakadanasou produces its own wines, using grapes that are organically grown in the vineyards located in nearby Mimakigahara plateau. We set up the vineyards and planted our first Chardonnay back in 2002. Later, we added Merlot and Pinot Noir to our selection. Komoro has long daylight hours and is perfect for growing grapes. We have decided to take a full advantage of this regional characteristic and use home-grown grapes for our wines, just like what we do with buckwheat flour used in our soba noodles. 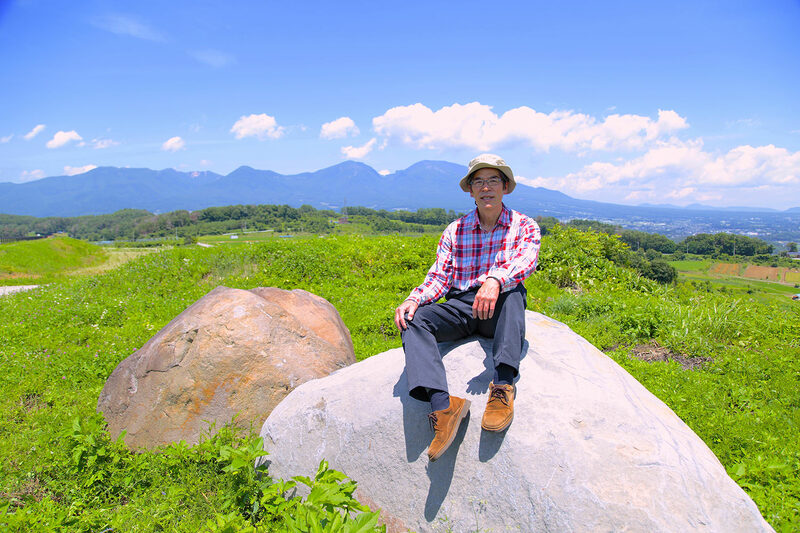 “We would like to treat our guests with what was produced right here in Komoro.” With this thought in mind, Masaki Tomioka, the owner of Nakadanasou, set out to produce the ryokan’s own brand of wines. His thought and passion are shared with his third son, Hayato, who has studied wine making at a wine school. It has been over 10 years since we planted Chardonnay, and it has grown to be sweet enough even when consumed raw. This crispy white wine pairs well with the dishes prepared at Nakadanasou. We mix wines aged in wood barrels and those aged in stainless steel tanks. The result is a mildly tannic red wine that goes well with the intricate Japanese cuisine.